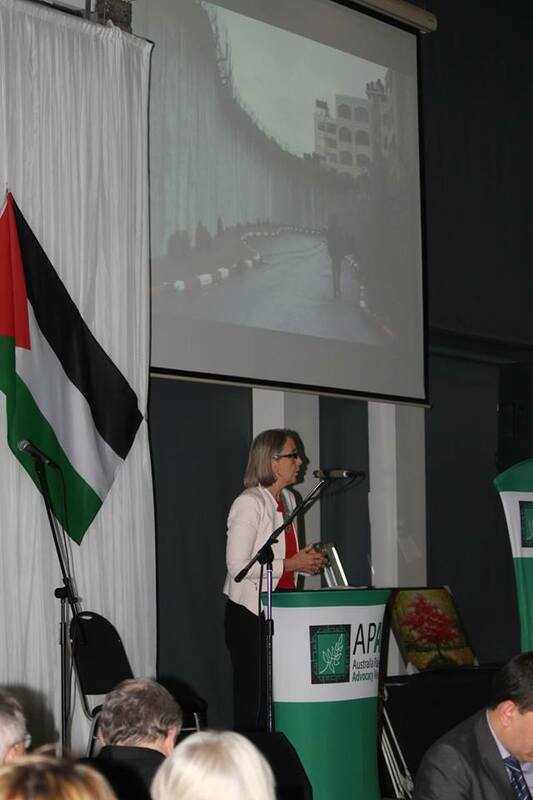 Almost 200 people gathered in Sydney to honour the UN Year of Solidarity for the Palestinian people and to celebrate and give support to the work of the Australia Palestine Advocacy Network. 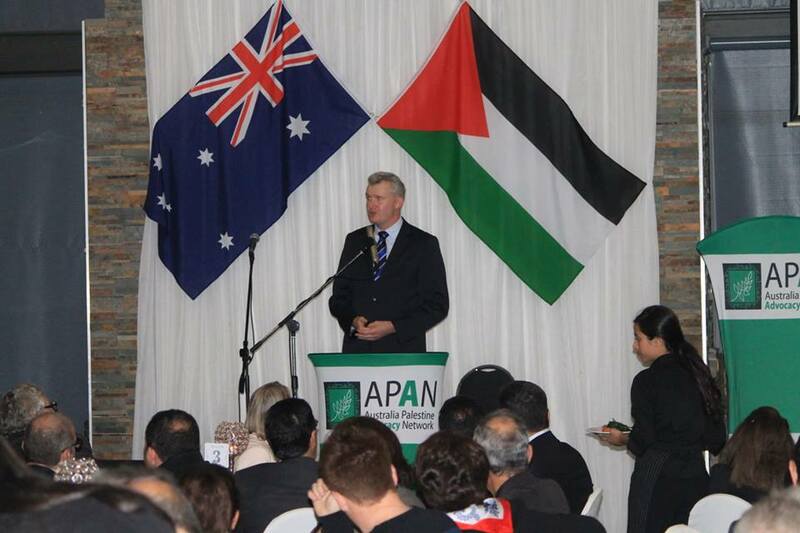 Shadow Minister for Finance, Mr Tony Burke MP used his speech to encourage Australia to ‘walk the talk’ in support of Palestine. “… if you are serious about a two state solution, the settlement activity must cease. If you are serious about justice, then we need to acknowledge and acknowledge the truth, that all Israeli settlements on Palestinian land are illegal. If we’re serious about speaking the truth then we must unequivocally be able to say that East Jerusalem in occupied”. Download full speech. Both Senator Rhiannon and Craig Laundy MP (in a message read in his absence) congratulated APAN for their strong and effective work in the Australian parliament. 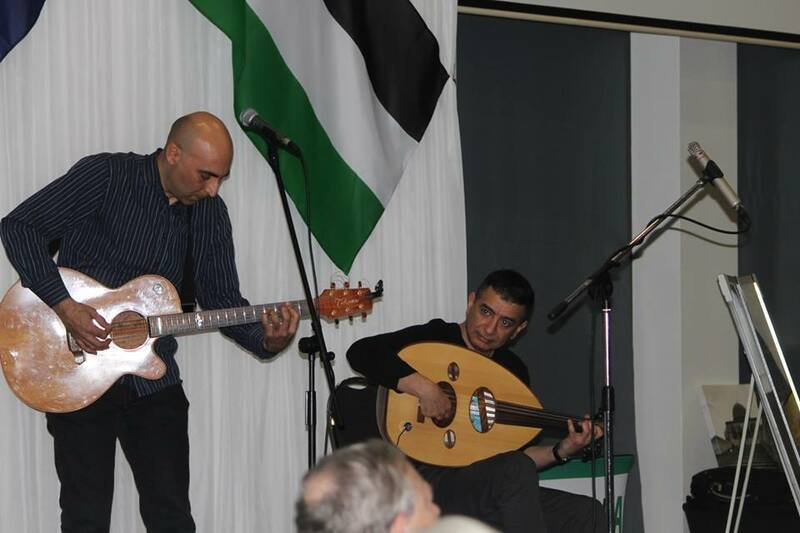 Entertainment was provided by singer songwriter Phil Monsour on the guitar and Oud player Mohamad Yousef. The generosity of people in attending the dinner and participating in the auction and raffle means that APAN was able to secure funding for our work for the coming year. We are so grateful for the generosity of those present, both in their words, their performance and in their financial support!